Shanghai poses a lesser threat to Hong Kong in the race for financial hub status in the wake of the stock market meltdown last year. Hong Kong slipped into the fourth place in the Global Financial Centre Index (GFCI) published by a UK research institute Z/Yen Group last week, trailing behind London, New York and Singapore. 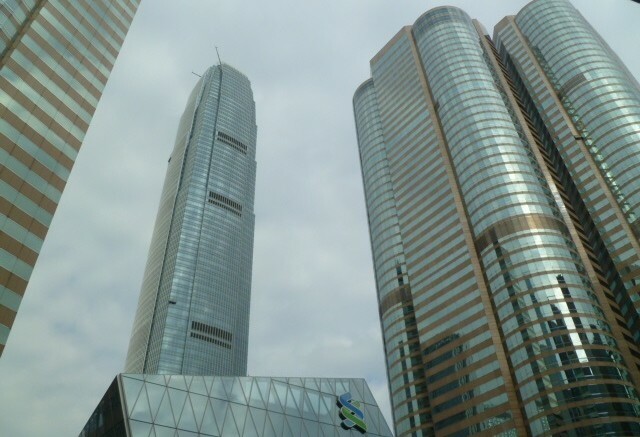 Coming in the heels of the separate downgrading of Hong Kong’s credit outlook by Moody’s and Standard & Poor’s from stable to negative, the drop of Hong Kong’s ranking has deepened the air of gloom over the city. Some people say Hong Kong has got a problem. Hong Kong has given great concern to its international ranking in various ratings before and after the 1997 changeover. Economic freedom index. Competitiveness and financial centre index. The list goes on. Most, if not all, of those rankings are more “abstract” than “real.” Their impact is more about international perception than substance. The ups and downs of ranking have arguably had no major impact. The fact is they have become less important in the recent years. The outlook ratings of credit-rating agencies is real, however. It will directly affect the cost of governments and enterprises in loan-raising. Their ratings tend to fluctuate from bad to worse and the other way round. They are more important than those rankings because they reflect the economic environment and risk of certain places, but not a rigid comparison between them and other countries and regions. Singapore will be most happy with the GFCI. The Singapore newspaper Lianhe Zaobao’s headline read “Our nation supersedes Hong Kong to rank third in GFCI.” Their report stressed the Lion’s City ranks Number One in Asia. In the GFCI report, it has highlighted the deficiencies of Singapore. In term of reputation, Singapore ranks lower than Qingdao, Casablanca and Sydney. Singapore sees Hong Kong as their competitor. But Hong Kong faces competition mainly from other mainland cities. The challenge facing Hong Kong is also mainly about whether it can maintain its competitiveness in its financial industry in the context of the overall development strategy of the city and the mainland. According to the nation’s long-term development plan adopted in 2009, Shanghai aims to become an international financial hub by 2020. Based on the plan, the development of Qianhai has taken off the ground with the goal of “cloning” another Hong Kong financial city. The degree of openness of Qianhai far exceeds all other mainland cities. As of now, the progress and level of the financial development of Shanghai and Qianhai still far lags behind Hong Kong. Shanghai has taken big strides in a lot of areas in their financial development in the past five years. They include financial talents, market entry, business environment, industry indexes such as asset management, government and banking services, banking and insurance and professional services. But when it comes to policies, there is no major breakthrough in some important areas. They include market-oriented interest rate mechanism, full convertibility of renminbi and the constraints in the autonomy of Shanghai in policy-making (major decisions are made in Beijing). Those constraints have made it difficult for it to become a real financial centre. Shanghai will pose a lesser threat to Hong Kong in the next few years as it needs time to recover from the A share market meltdown and the sharp fluctuations of renminbi last year. It will be difficult for Hong Kong to outrank London and New York. Hong Kong and Singapore will stay between the third and fourth rank in GFCI. Singapore has outranked Hong Kong before. There’s nothing to worry about. Be the first to comment on "HK financial hub ranking fall no cause for worry"